Jesse Chisholm-Beatson is entering his second year at Osgoode Hall Law School. He holds a BSc in Psychology from the University of Toronto, and an MSc in Social and Transcultural Psychiatry from McGill University. He has experience as a legal researcher with LegalSwipe and as a research assistant at the University of Toronto Psychology Department. He has served as an Associate Editor for the Osgoode Hall Law Journal and is a contributor to Osgoode’s newspaper, Obiter Dicta. Jesse will continue working with Fran Carnerie on the class actions project, in addition to assisting in the development of the research agenda for the LCO law and technology projects. Michael Dockstator has recently completed his JD studies at the University of Toronto Faculty of Law where he was a member of the Indigenous Law Students’ Association and an Assistant Editor at the University of Toronto Faculty of Law Review. He previously completed his Honours BA in Media, Information and Technoculture from Western University and is now working towards his Masters of Information at the University of Toronto. Previously, he worked as a summer law student for Animal Justice and, during the summer of 2015, provided research services for the Poverty Action Research Project, which aims to alleviate poverty in Indigenous communities. Michael will continue working with Executive Director, Nye Thomas, on researching potential law and technology topics for a future LCO project. Cameron McMaster is entering his second year at Osgoode Hall Law School. He holds an MA from York University in Communication and Cultural Studies, and an Honours BA from Carleton University in Humanities and Philosophy. He previously worked as a policy analyst and researcher for the Documentary Organization of Canada. Cameron has also participated in the Tory’s Cup, Lerners Cup and Frozen Over Osgoode Moot competitions, was a Junior Case Worker for the Osgoode Business Clinic, and was the 1L representative for the Osgoode Hall French Club. Cameron will continue working with Sue Gratton on the defamation project, in addition to assisting in the development of the research agenda for the LCO law and technology projects. Allison Nesbitt is entering her third year in Ottawa’s Common Law program. She has an Honours BA in Psychology from the University of Guelph. She has worked as a research assistant on rights to health care for Aboriginal people, and organized a presentation on using Advanced Directives for the Ottawa Conference on Medical Assistance in Dying. Allison currently sits on the Board of Directors for Harmony House and is a mentor for the Women’s Legal Mentorship Program in Ottawa. She is also a Social Justice Caucus Executive Member at uOttawa. Allison will continue working with Ryan Fritsch on the last stages of life project. Manasvin (Veenu) Goswami is in his final year at the University of Toronto, following the completion of an Honours BA in Political Science. He has worked as a research assistant to Professor Hamish Stuart, and as a researcher at the Asper Centre for Constitutional Rights. He is a Senior Board Member on the University of Toronto Law Review, as well as being very involved in the University of Toronto Faculty of Law’s competitive mooting. He spent last summer at Paliare Roland. Yasmeen Peer is in her final year at Windsor Law. During the winter semester, she will be completing the Aboriginal Intensive Program at Osgoode. Last summer, she completed an Indigenous Summer Intensive Program at the Univerity of Victoria Faculty of Law. She has been a research assistant for Professors Xavier and Kalajdzic, and has interned at the United Nations International Criminal Tribunal for Rwanda. In 2015, she received a Social Justice Fellowship from Windsor Law. Prior to law school, Yasmeen completed a Masters in International Peace and Conflict Resolution at American University in Washington. Her Masters’ Thesis required her to conduct and analyze interviews with victim-survivors of genocide. She has also worked as a street law clinic coordinator in Boston. She has a Certificate of Proficiency in French. Kate Withers is in her third year of a combined Masters of Public Administration/JD program at Queens University. She was awarded course prizes in Family Law and Civil Procedure. In 2015 she completed a certificate in Public International Law at the Bader International Study Centre. She previously completed an Honours BA in English at Dalhousie University. Last summer, she was an Intern at the United Nations Department of Safety and Security, where she assisted in the development of policies, guidelines and manuals aimed at protecting UN staff. In 2015 she completed an internship with the Ontario Court of Justice and Superior Court of Justice. She has worked as a Research Assistant for Professor Kathleen Lahey. She has also volunteered with the Queens Law Journal, Queen’s Family Law Clinic and Queen’s Legal Aid. Devra Charney is completing her first year at Queen’s, following an Honours Bachelor of Arts and Science, English Studies at McMaster University. This year, she has worked as a research assistant on issues in comparative constitutional law and volunteered at Queen’s Legal Aid and as an Editor at Queen’s Law Journal. During 2014-2015, she worked as a student researcher at the McMaster Institute for Teaching and Learning and as an Organizational Team Leader at Frontier College Literacy Organization. Devra will be working in our offices this summer. She will be assisting the LCO’s Executive Director, Nye Thomas, with a number of projects, including the Class Actions project, exploring the Community Safety project and potentially looking at the possibilities of an Aboriginal project. Erin Estok will be our first summer student from Lakehead, where she is in her second year. She has an Honours B.A and an M.A. in Political Science. Her SSHRC funded MA focussed on Aboriginal Education in Canada. From 2009 through 2012, she worked in policy positions at Environment Canada and Indigenous Affairs & Northern Development. From 2013 until her entry to Lakehead in 2014, she was the Stakeholder Relations Advisor for the Technical Standards and Safety Authority. She spent last summer as a Policy Summer Student at the Northern Policy Institute. This year, she has been volunteering as a researcher at Henderson Family Law Firm. She will be working with Sarah Mason-Case on the Improving the End Stages of Life project, as well as providing some assistance to Lauren Bates with the final stages of the Legal Capacity project. Lora Hamilton is a first year student in Ottawa’s Common Law program. She previously completed a Masters of Library and Information Studies at Dalhousie University, which included a thesis on issues related to censorhip, and a B.Mus from Wilfred Laurier University. She is an Assistant Editor at the Ottawa Law Review and previously was a peer-reviewer for the Dalhousie Journal of Interdisciplinary Management. This year, she has been working as a Research Assistant on a telecommunications consumer project combining issues of access to justice and information studies. This project also involves her in the design and implementation of stakeholder consultations. She will be working with Sue Gratton on the Defamation in the Age of the Internet project. Meghan Hum is completing her second year in Ottawa’s Common Law program, following an Honour’s BA in Political Science and Public Administration. She has worked as a researcher in the University of Ottawa’s Centre on Governance, and as a research assistant in the Centre for Health Law, POlicy and Governance. She has spent two summers in policy positions with the Ministry of Health and Long-term Care, in which positions she has carried out both research and stakeholder consultations. She will be working with Sarah Mason-Case on the Improving the End Stages of Life project. Erin Epp is in her final year at Osgoode Hall Law School, where she has received a number of awards for academic achievement. She spent the summer at Koskie Minsky, where she gained experience in a number of areas including class action proceedings, and will be articling in the class actions division of Koskie’s next year. During her time at Osgoode, she has worked as a Student Caseworker in the Workers’ Rights Division at Parkdale, and as a student volunteer and researcher with the AODA Alliance. Last year, she was the Senior Editor at Osgoode’s Journal of Law and Social Policy. Prior to law school, she completed an Honours BA in History at Wilfred Laurier University. While completing her undergraduate degree, she was an Intake Worker at the House of Friendship Emergency Food Hamper Program, President and Publisher of Wilfred Laurier University Student Publications, and a Committee Member of the City of Waterloo Safe and Healthy Communities Advisory Committee. Patrick Fallon is completing his third year at Lakehead University’s Faculty of Law, following a BA in Public Policy and Criminal Justice at the University of Guelph. He spent last summer at Legal Aid Ontario as a Family Law Services Centre caseworker. During the summer of 2014, he was a research assistant at Ambient Data, conducting legal research in the areas of digital forensics, privacy, e-discovery, copyright and digital media law. He has a particular interest in law and technology. While at Lakehead, he has volunteered with the Kinna-aweya Legal Clinic, and the Youth Justice Committee. Adam Giancola is in his second year at Osgoode Hall Law School, following an MA in Legal History at the University of Toronto. Last summer, he juggled a number of roles, including as a summer law student with Miller Thomson, a Summer Board Editor at the Osgoode Law Journal, and as the Honourable James Kreppner Health Law Intern at the deVeber Institute for Bioethics and Social Research, where he drafted a book chapter on issues related to informed consent and palliative care in Canada. He has engaged in a wide range of activities while at Osgoode, including volunteering at CLASP as an Intake Worker, and as a contributing researcher at the Justice Centre for Constitutional Freedoms, and participating in the Lerners LLP Cup Moot. Daniel Wai Hon Yip is a third year student at the University of Toronto. He is currently a Senior Editor at the University of Toronto Faculty of Law Review. He has previously completed a Juris Doctor at the University of Hong Kong Faculty of Law and a Master of Laws at the University of Pennsylvania Law School. Daniel summered at Stikeman Elliott LLP in Vancouver. While in Hong Kong, Daniel conducted research at the Centre for Comparative and Public Law, was a clinic student at the Justice Centre Hong Kong, and was a legal intern at the Association Concerning Sexual Violence Against Women. Pia Anthonymuttu is completing her second year at Western, following an MA in Public Administration from Carleton University and an Honours BA in English from the University of Ottawa. Last summer, Pia was a research assistant to Professor Anna Dolidze, and she is currently the managing editor of Western Journal of Legal Studies. Prior to law school, she worked as a Policy Analyst/Economist at Industry Canada. She has also interned at the United Nations and worked as a researcher for Human Resources Development Canada. She is also fluent in French. Jasmine Attfield is a second year student at the University of Ottawa’s Common Law program, following an Honours Bachelors of Arts from the University of Toronto. She has completed research for Labour Canada’s Racism-Free Workplace Strategy and the National Self-represented Litigants Project. She has also been involved with the Canadian Journal of Women and the Law and the Windsor Review of Legal and Social Issues. She is a former Board member of Justice for Children and Youth, and also has considerable experience in website development and design. She is fluent in French. Samantha Peters is also in her second year at the University of Ottawa’s Common Law program. She has previously completed an MA in Sociology and Equity Studies in Education at OISE and an Honours BA in Equity Studies, Political Science and French at the University of Toronto. She is currently a caseworker for the Conviction Review Project (Innocence Project). 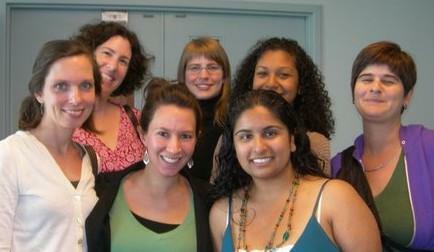 She spent last summer as a National Social Justice Fellow at the African Canadian Legal Clinic. She has also volunteered the Law Help Ontario and participated in the Nelligan O’Brien Payne and Julius Alexander Isaac Moot Court Competitions. She is fluent in French. She will be working remotely from Ottawa. Lisa-Marie Williams is a second year student at Osgoode. Prior to law school, she completed an honours degree in Urban Planning, completed the Ontario Legislature Internship Program, and carried out research and policy work at the Ontario Ministry of Research and Innovation and the Wellesley Institute. While at Osgoode, she has completed research for the Canadian Race Relations Foundation and the Winkler Institute for Dispute Resolution, been an Associate Editor for the Osgoode Hall Law Journal, and completed the Anti-Discrimination Intensive Programme. Ava Karbakhsh is completing an externship with us through the University of Ottawa. She is a second year student, having previously completed a B.A. Honours in Criminology at York University. She has done considerable outreach work for LEAF, has been a Youth Facilitator for OJEN, and has also volunteered with the Association in Defence of the Wrongfully Convicted. Last summer, she conducted research for the Centre for Law, Technology and Society. Jenny Kim is completing her second year at Michigan State University College of Law. She has a Bachelor’s Degree in Sociology from York University, and worked for several years with the Ministry of the Attorney General, including as a Case Management Coordinator. Jenny spent last summer as a student attorney with the Salvation Army – William Booth Legal Aid Clinic. Gregory Miles is a student at the University of Maryland School of Law in Baltimore. Prior to law school, he completed an MA in International Policy Studies at the Middlebury Institute of International Studies in Monterey California, and studied at JF Oberlin University in Japan. He has worked as an Intern with the Children, Youth and Families Division of Human Rights Campaign. Daniel Adler is completing his second year at Osgoode Hall Law School. He has completed an Honours B.A. in Philosophy at the University of Toronto, and a Master of Science in philosophy and ethics at the University of Edinburgh. During the summer of 2014, he was a Summer Board Editor for the Osgoode Hall Law Journal and a Summer Research Assistant to Professors Roxanne Mykitiuk and Francois Tanguay-Renaud. He has also worked as a Research Assistant in the Bioethics Department of the Hospital for Sick Children. Dan will be working with Senior Lawyer, Lauren Bates, on the Legal Capacity, Decision-making and Guardianship project. Manoj Dias-Abey is our Graduate Student Researcher. Manoj is a PhD candidate at Queen’s University, following the completion of an LLM (Research) at the University of New South Wales. He has also completed a BA (English) and an LLB at the University of New South Wales. He recently worked as a Research Assistant at the Centre for Law in the Contemporary Workplace at Queen’s University, as a Senior Writer at CCH Publishing in Australia, and as a solicitor at Harmer Workplace Lawyers. He also published book chapters and in peer-reviewed journals, and has presented at a number of conferences. Manoj will be working with the LCO’s Executive Director, Patricia Hughes, on the development of new projects. Alexandra Grishanova is in her second year at Osgoode Hall Law School. She has previously completed both a Bachelor’s and a Master’s degree in Library Science, as well as a degree in Journalism. Prior to law school, she worked as an Information Management and Privacy Analyst for the Ministry of Aboriginal Affairs and an Information Management Assistant for the Ministries of Finance and Revenue. While in law school, she has worked as a research assistant, has volunteered with Pro Bono Students Canada’s Civil Litigation Project, and been extensively involved in mooting. Alicia Mossington is our first student from Lakehead University’s new law school, where she is in second year. Prior to law school, she completed an Honours B.A. in Criminal Justice at Nipissing University. She spent the summer of 2014 as a Research Assistant with the Ontario Ministry of Northern Development and Mines working on various policy projects, including one on broadband access in Northern Ontario. She has also worked as a Research Assistant for North Bay Regional Health Centre, which included research on peer supported mental health housing. She is a founding member of the Lakehead Faculty of Law student newspaper, and is currently its Business Manager. Alicia will be working with Sue Gratton on the Small Estates Project. Danielle Cornacchia is completing her second year at Osgoode Hall Law School, following the completion of a Masters in Archaeology at the University of Toronto. She is a Senior Editor at TheCourt.ca and the Osgoode Hall Law Journal, and has worked as a Research Assistant for Professor Faisal Bhabha, and Professor Mary Jane Mossman. Last spring, she worked as a legal researcher for the Canadian Civil Liberties Association. She has been the recipient of numerous academic awards and honours. She is fluent in French. Teri Muszak is our Graduate Student Researcher. She is currently completing her LL.M at Western, focussing on social assistance legislation . Previously, she completed her JD at Western, followed by a Law Foundation fellowship position with Community Advocacy and Legal Centre in Belleville, where she represented clients before the Social Benefits Tribunal and organized the community with respect to cuts to the Community Start-up Benefit. For two years during law school, she was the program coordinator for Pro Bono Students Canada at Western. She has a strong commitment to access to justice, and has volunteered her time to a variety of initiatives, including at legal clinics and to public legal education outreach. Teri was called to the Bar in 2013. Maria Nunez is completing her second year at Queen’s, She has worked as Editor for the Queen’s Law Journal, as a researcher for the Ontario Human Rights Commission, as a Case Worker for Queen’s Legal Aid, and as a volunteer writer and researcher for Calgary Legal Guidance. In the summer of 2012, she developed a community outreach campaign for Queen’s University’s Elder Law Clinic. She is also the Founder and Chair of Queen’s Disability and Mental Health Law Club. Peter Spiro is attending Osgoode Hall Law School as a second career, following a distinguished career in economics and public policy. Following the completion of an MA in Economics at the University of Chicago, he conducted economic research on energy issues and financial markets at Ontario Hydro, and held managerial positions in the Ontario Ministry of Finance where he worked on a wide range of public policy issues. He has also been an Executive Fellow at the Mowat Centre for Policy Innovation, School of Public Policy and Governance at the University of Toronto. He has published many articles, including numerous comments at TheCourt.ca. Caitlin Beresford is in her final year at Windsor. Prior to law school, she completed an MA in History at the University of Victoria and a BA in History at Western, and woked as a research consultant with Indian and Northern Affairs Canada. 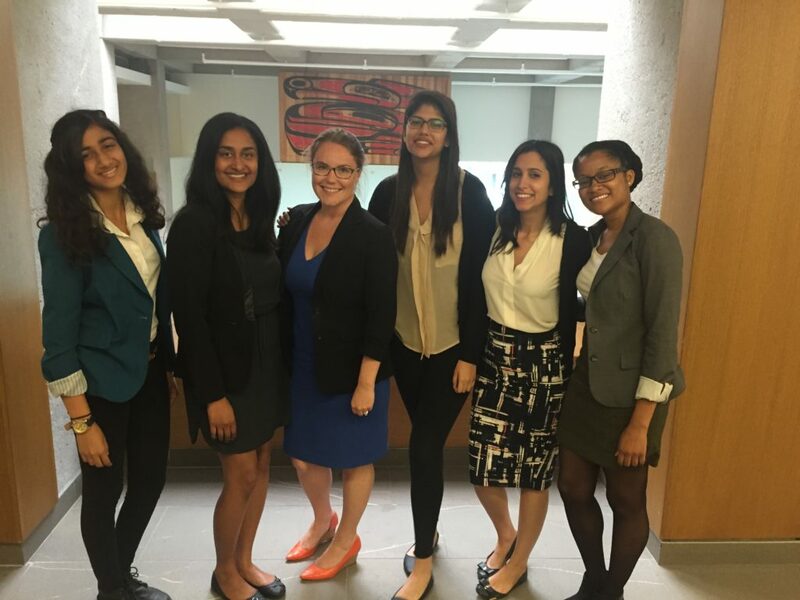 Last summer, she worked with the Aboriginal Program at the Ministry of the Attorney General. She has worked as a volunteer legal researcher at Lake Ontario Waterkeeper and Ecojustice. Through the NWT Clerkship Program, she has clerked with the Supreme Court of the Northwest Territories. She was a research assistant with the Ontario Court of Appeal History Project, and is the Citations Editor for Windsor Review of Legal and Social Issues. She is also a volunteer writer for the Ontario Provincial Police Review Magazine. Kai Deng will continue to assist with the RDSP project until the end of 2013. Kai began working with us during the summer 2013 term. Leora Jackson is also a third year student at the University of Toronto. She has completed a BSc in Math at Queen’s, as well as an MA in Gender Studies, also at Queen’s. She spent part of this past summer at Torys, and part as a research assistant at the David Asper Centre for Constitutional Rights. The summer previous, she worked as a Caseworker at Downtown Legal Services. She has worked as a volunteer researcher with the Asper Centre Refugee Law Working Group. She also also volunteered as a Division Leader at Downtown Legal Services, an Intake Worker at Law Help Ontario, a Public Education Team Lead at Justice for Children and Youth, and the senior and associate editor for the Indigenous Law Review. Angela Peco is in her final year at the University of Ottawa English common-law program (currently attending Osgoode Hall Law School as a letter of permission student). She has a Masters of Public Administration from Queen’s University School of Policy Studies, as well as a BA in English and Political Science from the University of Toronto. She has done legal internships with the Department of National Defence, Office of the Judge Advocate, and with the Organization for Refuge, Asylum and Migration. She also worked as a volunteer legal researcher for the First Nations Child & Family Caring Society of Canada, and as a Research Analyst for the Centre for UN Reform Education. This past summer, she was a program evaluator for the University of Ottawa’s Foundation Writing Program. She has volunteered as the Co-Editor-in-Chief of the Queen’s Policy Review and a First-year Editor for the Ottawa Law Review. John-Otto Phillips (Otto) is just completing the first year of Osgoode’s JD program. Prior to law school, he completed his PhD in philosophy at McMaster University in the area of legal theory. His dissertation examined the judicial role in administrative law and developed a novel approach to Canada’s standard of review analysis that revolves around the concept of deference. For the past several years, he has also been the principal organizer for McMaster’s graduate conference for legal theory, and he was the 2011 co-organizer of the “Nature of Law” International Philosophy of Law Conference. Cody Yorke is completing her second year at Queen’s University Faculty of Law. Prior to law school, she completed an M.A. in Women’s Studies from York University. She is currently on the Board of Directors for the Sexual Assault Centre of Kingston and is the Production Editor for Queen’s Law Journal. She is also a Research Assistant for Feminist Legal Studies Queen’s, and was previously employed as in Intern with the Sexual Assault Court Watch Program run by the Sexual Assault Centre of Kingston. Diriana Rodriguez Guerrero is completing her second year at the University of Ottawa’s Faculty of Law. Prior to law school, she completed her B.A. in International Relations and Legal Philosophy at York. She has worked as a Research Assistant and in private legal practice, as well as interning at Reach Canada, an organization focssed on assisting persons with disabilities in accessing legal services. She is trilingual in English, French and Spanish. Megha Jandhyala is completing the 3rd year of her S.J.D. program at the University of Toronto Faculty of Law, following LL.Ms from the University of Michigan and the University of Toronto. After completing law school in India, she worked both in private practice and for the non-profit organizations India Alliance for Child Rights and Gene Campaign, where she conducted research, analyzed legislation, and participated in public consultations. Kai Deng is working towards his Doctor of Laws at the University of Ottawa, following an LL.M from the University of Edinburgh and a Bachelor of Laws from the University of Guangxi in China. He has experience as a Policy Analyst for HRSDC Canada, where he focussed on issues related to the Canada Education Research Program, and as a Research Assistant at the University of Ottawa, as well as several years’ experience as a legal counsel in China. Kai will be working with Sarah Mason-Case on the RDSP project. James Coristine is entering his second year at the University of Windsor law school. Prior to law school, he completed a B.A. in History from Concordia University. He has worked as a Policy and Program Analyst with the provincial government’s Aboriginal Education Office, and at the Accessibility Directorate of Ontario. He has volunteered with the University of Windsor’s Community Legal Aid program and with the Alexandra Park Adult Literacy Program. Stuart Hargreaves is completing the final stages of his SJD at the University of Toronto. He completed his B.C.L. at Oxford University and his J.D. at Osgoode Hall Law School. He is an adjunct professor at Osgoode Hall Law School, teaching courses on Property Law and on Information and Privacy Law. In 2008, he was a Research Fellow at the University of Toronto’s Centre for Innovation Law & Policy, and in 2009 was a Google Policy Fellow at the Canadian Internet Policy and Public Interest Clinic at the University of Ottawa. He has also worked as Counsel at the Ontario Ministry of the Attorney General’s Policy Division. Sarah Molyneaux is in her final year at Osgoode Hall Law School. During her time so far at Osgoode, she spent eight months in the Workers’ Rights Division of Parkdale Legal Services. She summered at the Ontario Ministry of Labour, Legal Services Branch. She has volunteered extensively, including at the Caregivers Action Centre, the Workers Action Centre and Osgoode’s Community Legal Aid and Services Program (CLASP). She has advanced French language skills, as well as some skills in German and Spanish. Patrick Simon is in his fourth year of the National Program at the University of Ottawa, and is therefore familiar with both civil and common law. He has worked as a Research Assistant for two professors during his time at law school, and has also worked at the Labour Program of Human Resources and Skills Development Canada. In the latter role, he was a member of a team examining issues and trends involving the rights of Temporary Foreign Workers in Canada. He also completed an Internship at the Canadian Internet Policy and Public Interest Clinic, and was involved with the Alzheimers’ Society through Pro Bono Students Canada. He is fluently bilingual. Eddie Clark is our graduate student. He is currently completing an SJD at the University of Toronto. He completed his LL.M. at that same institution. His research interests focus on enhancing citizen engagement with the policy process. He is originally from New Zealand, and completed his LL.B. there, after which he practiced in a leading public law firm for five years. He has considerable experience in policy and legislative development, including writing policy and discussion papers, analyzing submissions, and carrying out legislative drafting. Dr. Jordan Birenbaum is completing his first year of his JD at the University of Toronto. Previously, he completed a doctorate in history, focussing on the drafting of the Canadian Bill of Rights. He has worked as a research assistant in the University of Ottawa Faculty of Law as well as in the Department of History. He interned with United Nations Watch in Geneva, which required him to monitor UN Human Rights sessions. He has done pro-bono research for the Canadian Civil Liberties Association. He is fluent in French. Nathalie Kalina is completing her second year at Osgoode Hall Law School, following the completion of a B.A. in Sociology from Vassar College. She has worked as a research assistant for Professor Mossman on family law issues and for Dean Sossin on freedom of information laws, and is completing a Pro Bono placement conducting research for the Truth and Reconciliation Commission. Prior to law school, she worked at Isuma TV, an indigenous filmmaking company, helping to launch a digital archive of Inuit and Aboriginal media. She is bilingual in French and English. Debjani Poddar is completing her second year at the University of Ottawa Law School, following the completion of an Honours Bachelour of Arts and Science at McMaster University, where she was the recipient of several scholarships and awards. Earlier this year, she completed a Directed Research Project on the treatment of charges for sexual violence in international criminal law. She has worked as an intern for the Canadian Centre for International Justice and for the International Criminal Court Legal Tools Project. She is fluent in French. Andrea Dias is our Osgoode student. She is completing her final year there, following her acquisition of an Honours degree with Distinction in Science at Queen’s University. She brings a range of experience to her role with us, including Pro Bono research for the Health Professions Appeal and Review Board, volunteer work with CLASP, and research for Professor Fred Zemans on access to justice policies in Ontario and India. Her practical legal experience in immigration and family law has given her the interest and background to work on our Family Law and Vulnerable Workers projects. Director), Safina Lalani, Julia Rendell and Lauren Bates (Staff Lawyer). Michael Da Silva is completing his second year at the University of Toronto Law School. He completed an undergraduate degree in Philosophy and Contemporary Studies at the University of King’s College in Halifax. He has worked as a Research Assistant for Professor Lorraine Weinrib, and as a Research Student at the Bioethics Department at the Hospital for Sick Children. He was part of the Asper Centre for Constitutional Rights’ clinical legal education course. He has served as a volunteer advocate as part of the Medico-Legal Society of Toronto’s Health Professional’s Appeal and Review Board Advocacy Project. He was the 2009-2010 winner of the Nathan Strauss Essay Prize in Legal Ethics. Michael’s work with the LCO will be focussed on the Vulnerable Workers and Precarious Work project. 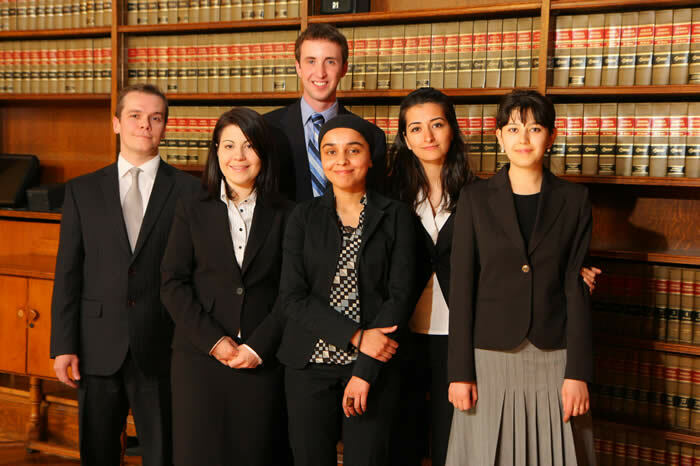 Safina Lalani is completing her second year at Osgoode Hall Law School. She previously completed an Honours Bachelor of Science degree with High Distinction at University of Toronto, during which she assisted with research at the Cognition and Motivation, Adult Development and the Human Neuropsychology Labs, and the Hospital for Sick Children. She has worked as a Research Assistant with Professors Janet Walker and Balfour Halevy of Osgoode Hall Law School, as well as with the Centre for Addiction and Mental Health. Her community activities include volunteer work with older adults, children with Autism Spectrum Disorder and students with disabilities. As well as abilities in French, she has basic capacity in American Sign Language. She will be working on the Older Adults and Disabilities projects. Jerri Phillips is completing her second year at Queen’s University Faculty of Law. She previously completed a B.A. (Hon) in History and a Masters of Public Administration. She has worked as a Research Assistant for Professor Martha Bailey, for the Queen’s University Faculty of Law, and for the Canadian Bar Association at Queen’s University. She also has experience working in a law office, and volunteering for a women’s shelter. Jerri will be working remotely from Kingston, and will focus her efforts on the Family Law Project. Julia Rendell is our Graduate Student. Julia completed a B.A. in French and Latin, as well as her law degree at Victoria University in New Zealand. Following completion of her law degree, she worked for four years for the New Zealand Law Commission as a legal and policy advisor. There, she worked on a variety of projects, conducting legal research and public consultations, writing Issues Papers and Reports, and liaising with government departments and steering committees. She is currently completing her LLM. at the University of Toronto, with a focus on public law. Julia will be working with us at our offices at York University. Julia will be working on a number of the LCO projects during her time with us. Courtney Evans is our Osgoode student. She is currently entering her second year of law school, following the completion of a B.A. in Drama and Music from Queen’s University and a Masters in Music from the Boston Conservatory. In her first year of law school, she was recognized for her outstanding abilities in essay writing. She has a broad range of volunteer experience, and is fluent in French. Courtney will be working on the Older Adults and Persons with Disabilities projects. Nicoletta Lakatos is in her second year of studies at Windsor’s law school. She graduated with distinction from McGill’s International Development Studies program, and interned at the McGill Institute for Health and Social Policy. Her volunteer experience includes work with Community Legal Aid Windsor, the National Association of Women and the Law, the McGill Global Aids Coalition, and the Children’s Aid Society of Brant. She will be working on the Vulnerable Workers project. Jael Marques de Souza is in her final year of law school at Queen’s. She summered with the Office of the Public Guardian and Trustee and will be completing her articles with them. Last year, she worked part-time for the Courts Disability Education Project. Prior to law school, she interned at the International Service for Human Rights in Geneva. She was Queen’s French oralist in the Laskin Moot, and volunteers with Queen’s Legal Aid and the Queen’s Law Journal. Jael will be working on the Provincial Offenses Act project, and the Persons with Disabilities project. Our graduate student is Howard (Howie) Kislowicz. Howie is in the second year of the S.J.D. program at the University of Toronto. He completed his LL.M. at the University of Toronto, with a thesis on freedom of religion and Canada’s commitment to multiculturalism, and his thesis won the Alan Marks Medal for best thesis in a graduate law program. He is the recipient of numerous awards and grants, and is currently in receipt of a SSHRC Canada Graduate Scholarship. Following completion of his LL.B at McGill Law School, he clerked with the Federal Court of Appeal, and worked as a litigator at Heenan Blaikie. He is also a composer, vocalist and guitarist, and is fluent in French. Howie will be working on the Family Law project. Maria Pia Brunello is a second year student at the University of Windsor. She has done work extensive work abroad, both through a CIDA internship as a Educational and Integration Assistant in Bolivia, and more recently as a Social Justice Fellow in Peru, where she drafted a report and policy recommendations on barriers to access to justice for rural and poor Andean communities. 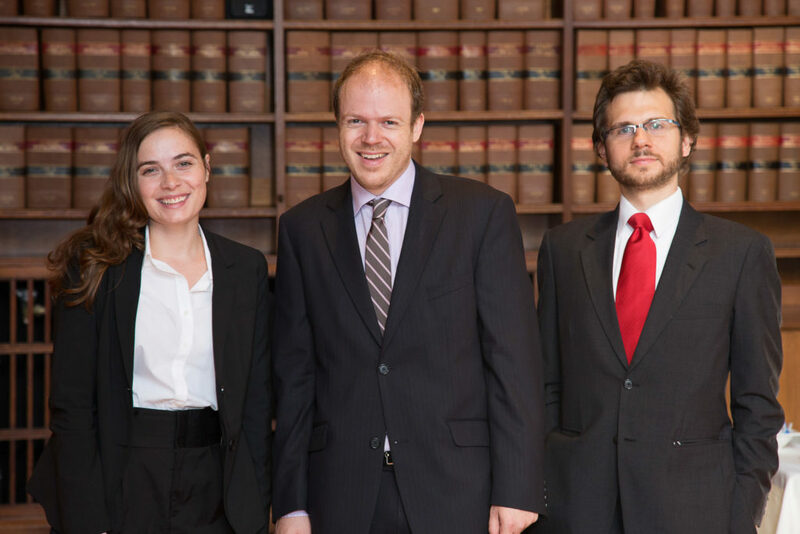 This spring, she was the French oralist for her school at the Laskin Moot Competition. She has done considerable volunteer work with Community Legal Aid Windsor. Denise Cooney completed a Masters in English literature before she commenced law school at the University of Toronto last fall. She also is fluent in French. She has gathered research experience through volunteer work with the Sexual Orientation and Gender Identity Refugee Project, and as a caseworker for Advocates for Injured Workers. Amanda Letourneau is our Osgoode student. She is in her second year of law school, after having completed an Honours B.A. in Psychology and French. She is interested in family law, having worked with both Pro Bono Students Canada’s Family Law Project, and with the Parent Information Program. She has also done volunteer work with CLASP, and has legal research experience working for a member of the private bar. Ari Linds has just finished his first year at the University of Ottawa law school. He has a B.A. in History and Political Science, and a Masters of Education from the University of Toronto. He spent several years in the field of public policy prior to attending law school, having been employed as a Senior Policy Advisor with the Ontario Ministry of Training, Colleges and Universities and an Advisor, Issues and Research with the Office of the Vice President, Government and Institutional Relations at the University of Toronto. Ari has done volunteer work with the Canadian Civil Liberties Association’s Monitoring Project, through Pro Bono Students Canada, and is fully bilingual in French and English. We are also fortunate to once again have an intern placed with us through the University of Maryland Law School. Prior to attending law school, Michael Raykher completed a Bachelor of Science in Economics from the Wharton School at the University of Pennsylvania. His volunteer experiences include work on the Katrina Project – Capital Post Conviction Project. He has worked for the U.S. Department of Commerce as well as several financial institutions. Amar Bhatia is pursuing his SJD at the University of Toronto, with a focus on migration law. He completed his LL.M at the University of Toronto, and received the Howland Prize for the most outstanding performance in that program. He completed his LL.B at Osgoode Hall Law School. He has an Honours B.A. in English literature from Queen’s, and completed an M.A. in English Literature at the University of Sussex. He is currently the recipient of an SSHRC Doctoral Fellowship. He has a strong background in labour law. Jeremy Patrick is a Ph.D student at Osgoode Hall Law School, where he is writing his dissertation on the history of Canada’s prohibition on blasphemous libel. He has completed an LL.M at the University of Toronto, and a J.D. from the University of Nebraska College of Law. He was previously an Assistant Professor at the University of Detroit Mercy School of Law, where he taught courses on legal research and writing and American Constitutional Law. For a number of years, he was employed as the Policy Analyst for the Canadian Civil Liberties Association. Sara Abraham is entering her second year at the University of Toronto Law School. She has a Ph.D and an M.A. in Sociology from the University of Wisconsin-Madison, and was for a number of years an Assistant Professor in the Department of Sociology at the University of Toronto. Her work on race, class and immigration has been widely published, and includes her book, Labour and the Multiracial Project in the Caribbean: Its History and Promise, and a report for Toronto City Hall on Toronto’s taxi drivers. Joe Bowcock is in his third year at Windsor’s Law School, where he was the recipient of the Sarnia Rose Shaheen Memorial Award in Legal Writing. He has worked as the teaching and research assistant for the law school’s research and writing course. For the last two summers, he has worked in the Labour Relations Department of George Brown College, where he has done legal research and policy development. He has extensive volunteer experience with Community Legal Aid and the John Howard Society. Prior to law school, he obtained an M.A. in International Relations from the University of Waterloo, and a B.A. in Political Science from the University of Western Ontario. He is bilingual. Joshua Goldberg is a third year student at the University of Ottawa, (currently attending the University of Toronto as a letter of permission student). In his second year, he completed a directed research program on the law of nervous shock. He has been very involved in the life of the law school, including as Assistant Editor of the University of Ottawa Law and Technology Journal , a Staff Writer for Inter Pares (the Faculty of Law Student Newspaper) and a student legal caseworker for Downtown Legal Services. 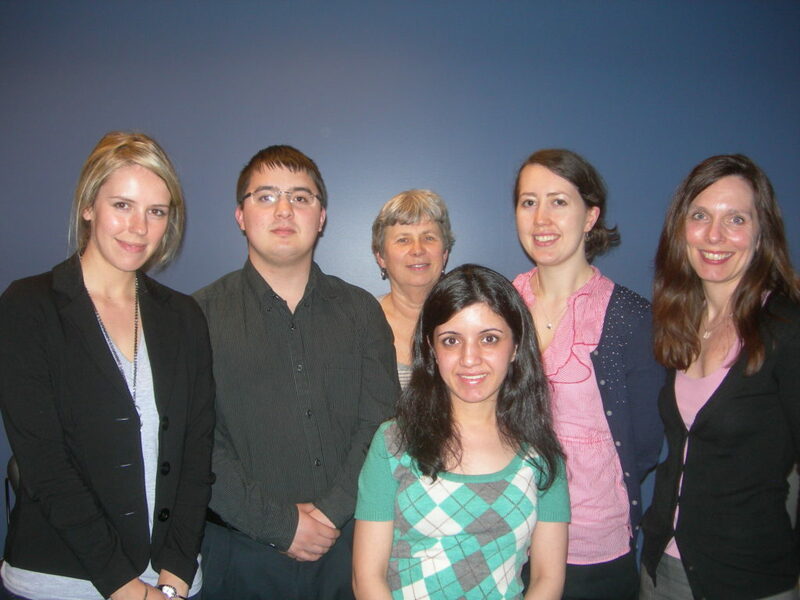 Through Pro Bono Students Canada, he has volunteered with Reach Canada to assist persons with disabilities to obtain legal counsel. He has travelled extensively, and has advanced Mandarin, as well as intermediate French. He has a B.A. in History from Concordia University. Christopher Missiuna is a second year student at Queen’s, and will be working in Kingston. He studied Journalism at Carleton University and has experience in media relations and news writing. This past year, he won the David Sabbath Prize in Legal Research at Queen’s University. Stephanie Ligori is a second year student in the Common Law program at the University of Ottawa and will be working from Ottawa. Prior to attending law school, Stephanie worked in international policy and research roles. This past year, she has worked as a volunteer with persons in receipt of ODSP, preparing appeals for the Social Benefits Tribunal. Feruza Djamalova is a second year student at the University of Toronto. She has completed an LL.M. in International Law from U of T, and another LL.M. in Comparative International and European Law from the University of Maastricht. She has done research work for the HIV/AIDS Legal Network, and for the International Criminal Tribunal for the former Yugoslavia. Nazila Rostami is a first year student at Osgoode Hall Law School. She has completed her M.A. in Sociology at the University of Toronto, and has a strong background in social science research. She has worked on research projects relating to the Iranian business community, water rights, public space, and employment prospects for persons with disabilities. Geetika Bagga is a first year student at Osgoode Hall Law School. She is also a Ph.D. candidate in the Human Geography Department at York University, and her research interests lie in the area of precarious work and the experiences of immigrant and refugee women in Canada. As well, she has an MBA from Simon Fraser University. She has very considerable social science research experience. Jason Burns is a second year student from the University of Windsor, and will be working out of our offices here. Jason has an interest in Health Law, and is fluent in French. Tiffany Silas will be our University of Maryland intern this year. She will be with us from May 12 until June 19. She has just completed the first year of her law degree, has a B.A. from Stanford University in Urban Studies, and is fluent in Spanish. Heather Cameron is in her third year of studies at Queen’s University, Faculty of Law with a background in Canadian Studies; she is working primarily in Ottawa. Jennifer Barrigar is an LL.D. student at the University of Ottawa, Graduate Studies in Law. Her doctoral dissertation focuses on the formation, normative force and protection of reputation and identity in Web 2.0; she is working primarily in Ottawa. Ada Ho is in her third year of studies at Osgoode. Leanne Melnyk is in her third year of studies at the University of Western Ontario, Faculty of Law with a back ground in Law and Poverty; she has capacity in French and will be working primarily in London.